NO CHAIN. 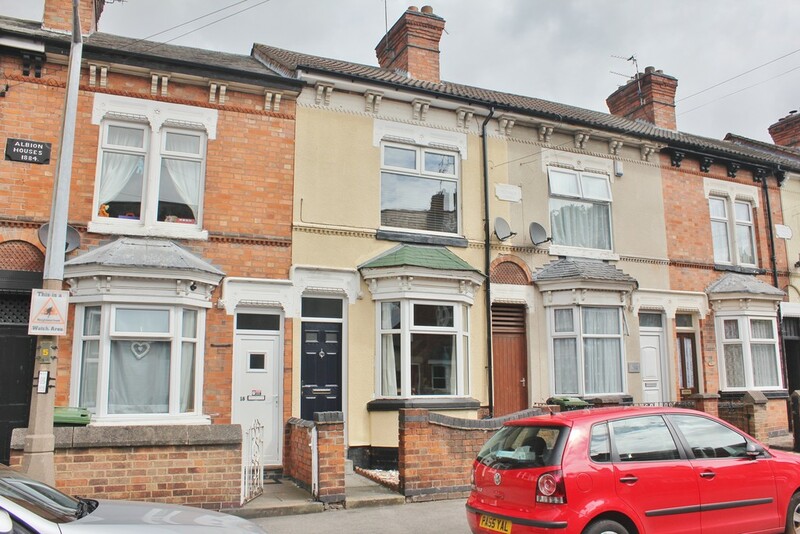 Well presented three bedroom mid terraced property available for sale on Timber Street. Comprising through lounge / diner, galley kitchen and bathroom downstairs, with three bedrooms up stairs. The property benefits from a low maintenance yard to the rear and is double glazed throughout. Offered with no upward chain. LOUNGE DINER 28′ 1" x 11′ 2" (8.56m x 3.4m) With double glazed windows to the front and rear elevations, two radiators to the side elevations, laminate and carpeted flooring, wall mounted and pendant lighting, decorative brick and log effect fireplace, stairs to the first floor, meter cupboard and TV point. KITCHEN 14′ 2" x 5′ 9" (4.32m x 1.75m) With base and wall mounted units, worktop, gas hob with hood, electric oven, tiled surround splash back, plumbing for washing machine and dishwasher, tile floor covering, double glazed window to the side elevation, radiator to the inside wall, stainless steel sink and drainer unit. BATHROOM 7′ 10" x 5′ 2" (2.39m x 1.57m) With bath and mounted shower, tiled splash back, low flush WC, pedestal wash basin, vinyl flooring, extractor fan, double glazed window and radiator to the rear elevation. MASTER BEDROOM 12′ 9" x 11′ 5" (3.89m x 3.48m) With double glazed window and radiator to the front elevation. BEDROOM TWO 11′ 10" x 9′ 11" (3.61m x 3.02m) With double glazed window and radiator to the rear elevation, built in wardrobe. 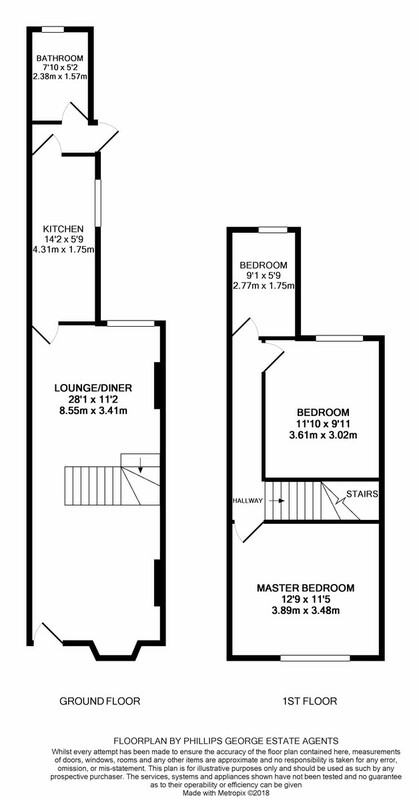 BEDROOM THREE 7′ 10" x 5′ 2" (2.39m x 1.57m) With double glazed window and radiator to the rear elevation, boiler cupboard. OUTSIDE To the front is a brick built wall surrounding a small gravelled yard, to the rear is a low maintenance paved yard with shrub borders enclosed by wooden fencing. THINKING OF SELLING? We would be delighted to provide you with a free market appraisal/valuation of your own property. Please contact Phillips George to arrange a convenient appointment on 01162168178.